Few days back Google launched its first app for Apple Watch and that surprised me a bit. After that, I came across several news where popular brands are preparing their own app compatible with Apple Watch. Not just tech-related brands but also Automobile brands. 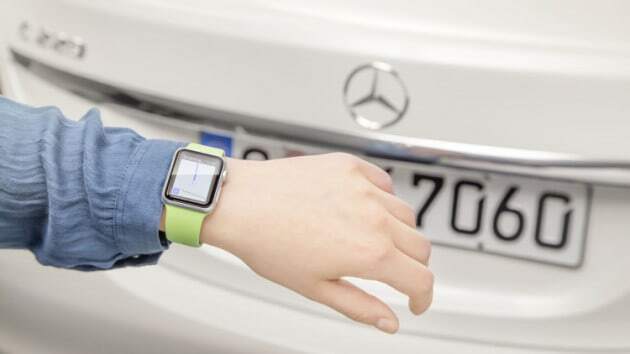 Earlier BMW and Volkswagen launched their respective apps for this smart watch, now it’s time for Mercedes Benz as well it seems. They recently introduced their entry – “MB Companion App”. This exclusive app provides walking directions to and from where the Benz car is parked. With your iPhone you can easily access the directions. The Apple Watch will also be integrated with the car’s navigational system. It’ll also provide you informations like fuel level, range, maintenance codes and and odometer readings. As of now this app will be compatible with Mercedes-Benz C-Class and S-Class vehicles. It’ll be eventually rolled out to other models as well. This app is designed by Benz’s Silicon Valley R&D center and it’ll work with the models equipped with the COMAND Online navigation system. With BMW, Volkswagen and Mercedes Benz in the game, we’re looking forward for other popular Automobile brands to do the same soon.